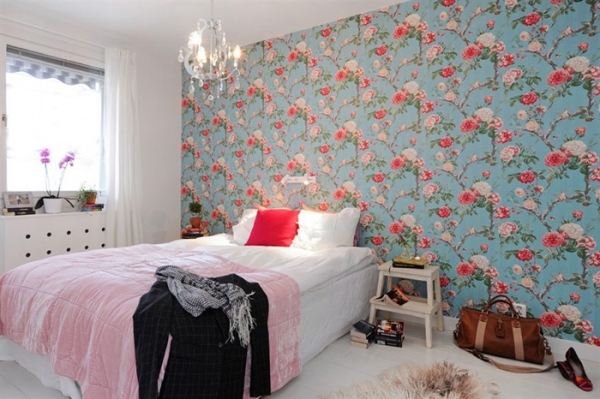 Wallpaper can add that extra oomph to your bedroom. It can also help you divide the different areas of the room, making it appear more spacious. We really like this one. 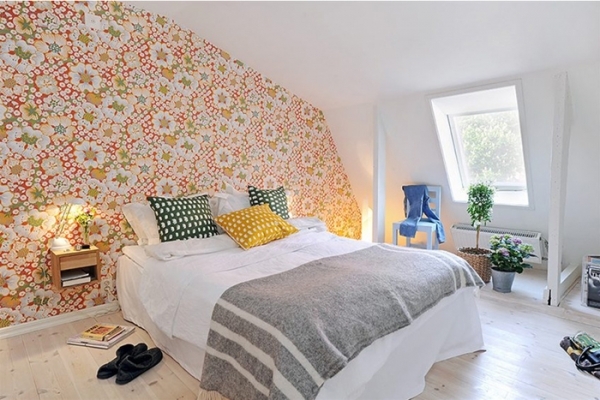 Bright bedroom wallpaper can add a dose of cheer and lively color to your space. 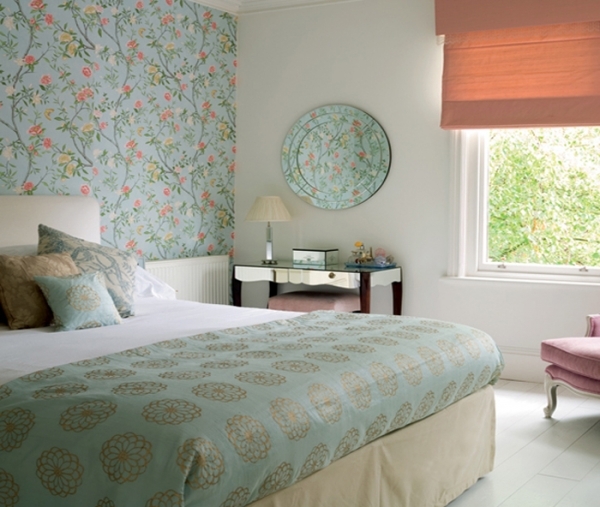 The soft color palette of the wallpaper and the room fit together nicely. The wallpaper adds a wonderful finishing touch, completing the design. We love the two different designs on this wall, it frames the bed and it’s reminiscent of a mural. This is definitely one of our favorites. This wallpaper adds a lot of warmth to the room. If the wall was white, this room would have a completely different design. We love the relationship between the black and cream wallpaper and the toasty hardwoods. The red wallpaper frames the bed perfectly, and it adds a bit of bold color to the room. 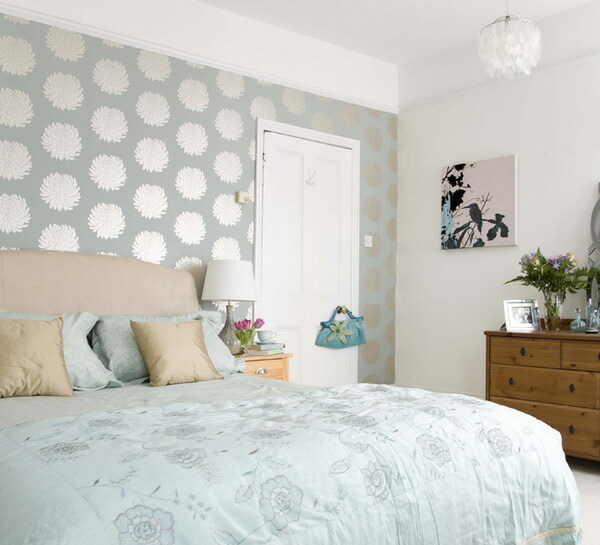 By applying wallpaper to a section of the wall, the bedroom is kept open and spacious. 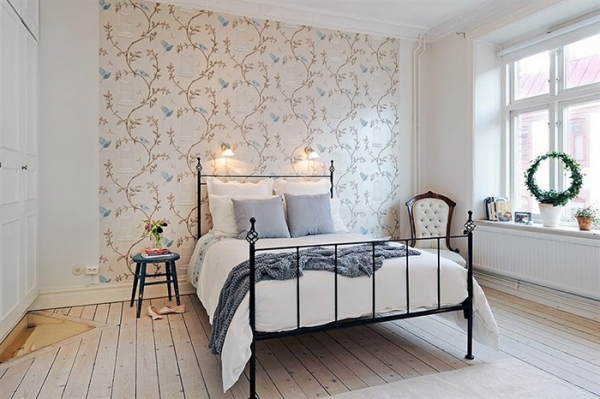 We adore this beautiful blue and light brown wallpaper, especially with those fantastic hardwoods. The patterns and colors of your wallpaper, do not have to completely match your room. Two different patterns and various colors come together beautifully in this design. The pattern of this black and white wallpaper adds a little bit of luxury to just about any space. It’s a wonderful choice if you want to add a little glamor to your bedroom. 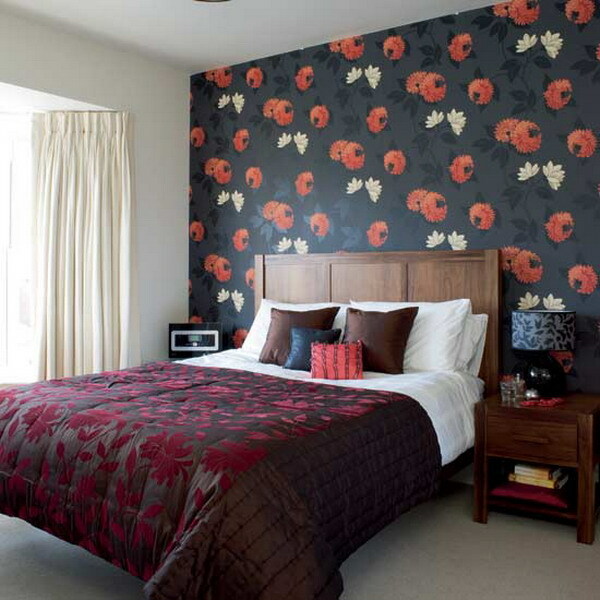 We hope these bedroom wallpaper ideas have provided plenty of inspiration for your next or current home project. Just remember, there really are no rules. 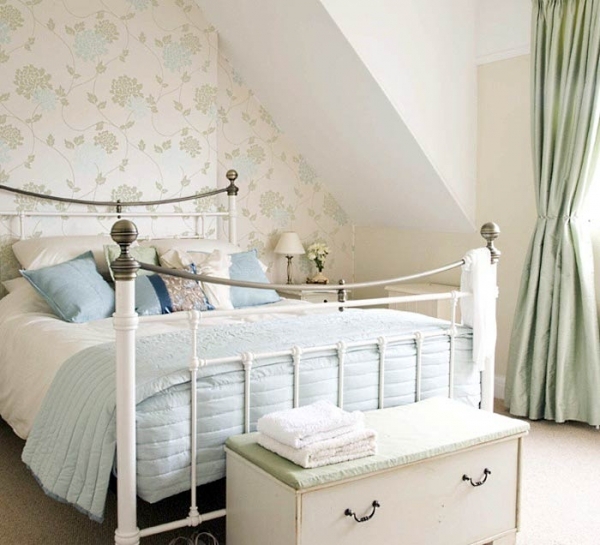 You can add wallpaper to half the room, behind the bed, or just a small section of the room. It can be a floral theme, a bird design, or geometric shapes. Or, you could even mix them up, and create your very own design, leading to even more fantastic possibilities. It can be whatever your designing heart desires.